Researchers may have found a unique treatment for those suffering from post-traumatic stress disorder (PTSD). According to a recent study published online in Psychological Science, video games played 24 hours after a traumatic event can reduce the related, unwanted memories of the event. The specific game used in these experiments was Tetris. The study involved inducing “intrusive memories” into the 52 participants, who were each forced to watch a 12-minute video of traumatic events. Twenty-four hours after viewing, half of the participants were then shown stills from the film. The goal was to reactivate the memories from the video. A 10-minute filler task was then completed to allow for the intrusive memories to reconsolidate, followed by 12 minutes of playing Tetris. The other half of the participants went through the same process; except instead of playing Tetris, they were instructed to sit quietly for the 12 minutes. The findings revealed that the participants who played Tetris experienced less intrusive memories than those who did not. A second experiment was conducted in which the participants were split into four groups to test whether memory reactivation (through the stills) or Tetris alone could decrease the manifestation of intrusive memories. Researchers concluded that memory reactivation and Tetris combined led to fewer intrusive memories. The goal of this study was to create a strategy to help reduce intrusive memories for those suffering with PTSD. 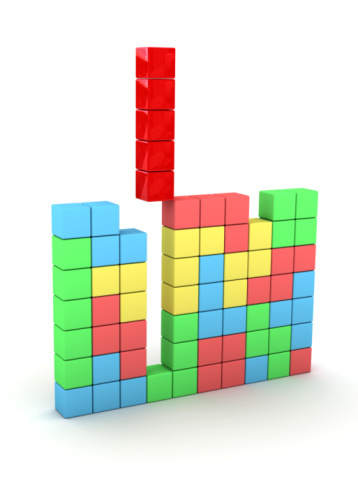 “Can playing Tetris reduce intrusive memories?” Medical News Today web site, July 6, 2015; http://www.medicalnewstoday.com/articles/296321.php.